Stuff – It’s taken 20 innings for Ross Taylor but finally the pukana got an airing for his county side in England. 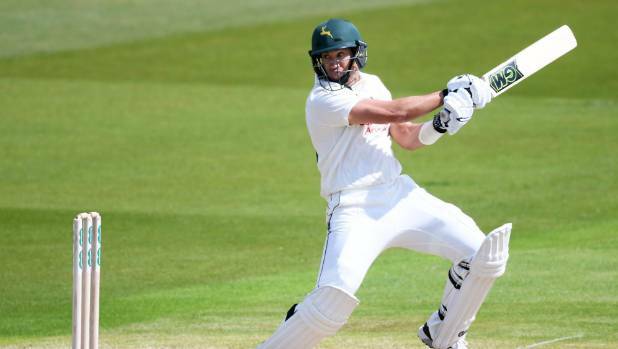 Taylor’s century drought for Nottinghamshire ended in style when he hit 146 off 208 balls on day one of their county championship first division match against Essex at Chelmsford on Thursday (NZT). The star Black Caps batsman’s trademark century celebration with the tongue poking out hadn’t yet been seen in 11 previous first-class innings and eight one-day knocks in England this year. Taylor had four half-centuries in first-class cricket, and his century boosted his season tally to 501 runs at an average of 41.75. In division two, Black Caps seamer Matt Henry’s wicket-taking gorge continued against captain Jeetan Patel’s Warwickshire. It boosted Henry’s first-class wicket tally to 47 at an average of 11.25 in just his sixth match, 20 clear of the next best division two wicket-taker Duanne Olivier of Derbyshire.